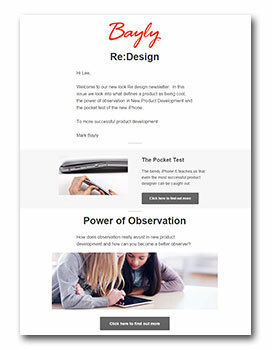 Keep up with the latest news at Bayly and in the design world. To receive the latest news in the design world and at Bayly please fill in subscription form here. 2017 has been an exciting year for Bayly. We have seen several past projects hit the market, and have received international accolades for several more. Read our year in review and predictions for 2018. The Premier's Design Awards - Our Playnasium is a winner! The YMCA Playnasium takes out the 2017 Premier's Design Award of the Year. Assessing the viability of an idea to minimise risk in production before making it a reality. We design the consistent and reliable delivery of the experience by focusing on simplifying manufacturing and delivery processes.